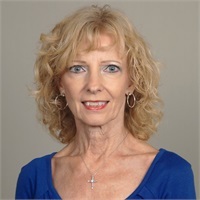 Jann Wells is our Lakeland Practice Manager and came to One Source Advisory when Andreadis Insurance and Financial Services merged with us the summer of 2018. She has a varied background of insurance, accounting and management skills. Her insurance career began in high school with a detour into solar energy and working in the Trust Department of a Lakeland law firm until joining Andreadis in 2010. Learning every day keeps her position challenging and exciting. Jann moved to Florida from Colorado in 2005 with her husband Tom and their cats. During her time away from work, she enjoys volunteering for various non-profits, keeping her landscape beautiful and living a healthy lifestyle.